Welcome to the first day of the Fabric Printing at Home Scavenger Hunt! Are you ready to jump in and have some fun? I have 12 days of printing challenges and guessing games planned. And "yes" there will be prizes! Read on to find out what you have to do to Join the Hunt! Remember how much fun it was to go on a scavenger hunt? What a rush! Running around trying to find all sorts of odd items and being the first to check all of them off the list and win a prize! 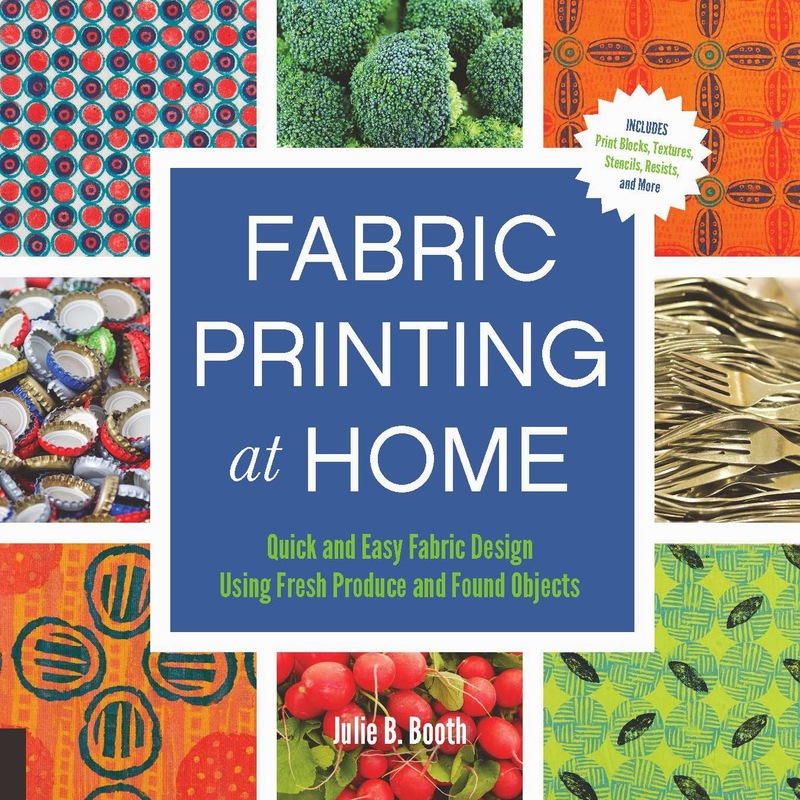 In the Fabric Printing at Home Scavenger Hunt, I'll challenge you to hunt for particular types of items in your home (more specifically, your kitchen). You'll then print with these items on either fabric or paper, take a photo(s) of your printed designs and on the designated day, post them to your blog, Facebook or Flickr page. After posting, leave a comment on my blog post with a link to your image(s) so I can link back to your post for an inspiring hop! Every couple of days I'll post the guidelines for a new challenge--that is, for new items to hunt for and print with-- for a total of five challenges. Your participation in any one of these printing challenges makes you eligible for the final prize drawing on May 10th. 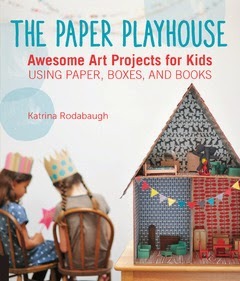 And it's a really nice prize...in addition to winning a copy of my book, Fabric Printing at Home, you will also win three additional books published by Quarry (for a prize totaling close to $100!). Click on the book captions below to find out more about each book. On the days between the Hunting/Printing Challenges, I'll feature a Guessing Game Challenge and Giveaway. On those days, I'll post photos of my printed designs, and challenge you to guess what household items I used to create them. Leave a comment and you'll be eligible to win a smaller prize such as a brayer or linoleum cutting tool set. But what if I don't have a blog, or I'm not on Facebook or I don't have a Flickr page...can I still take part in the Printing Challenges? Yes, of course you can! I want everyone to have a chance to play! Just send me an email (threadborn@gmail.com) and attach your image. I'll include it in my blog post on the designated "reveal" day. So gather up some kitchen supplies, grab your friends, your kids, your grandkids and let's get going! Challenge #1: Find items in your kitchen that will print circle designs. Please post your Circle Prints on Friday, May 1st. Leave a comment on my blog post on that day with a link to your prints. 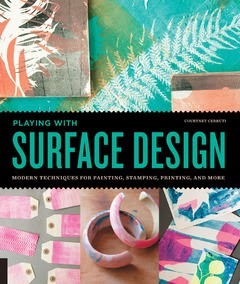 If you want to know some fabric printing basics, click here to read the latest issue of Julie B Booth Surface Design News. HINT: Be sure to check out your catchall drawer for items for printing circles. 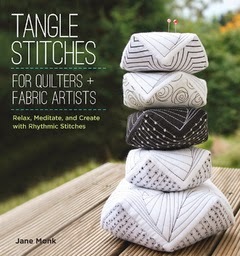 I had a lot of fun printing all the circular patterns in my Small Scale Items: Nine Patch on page 46 in Chapter 2: Kitchen Textures and Found Object Printing. 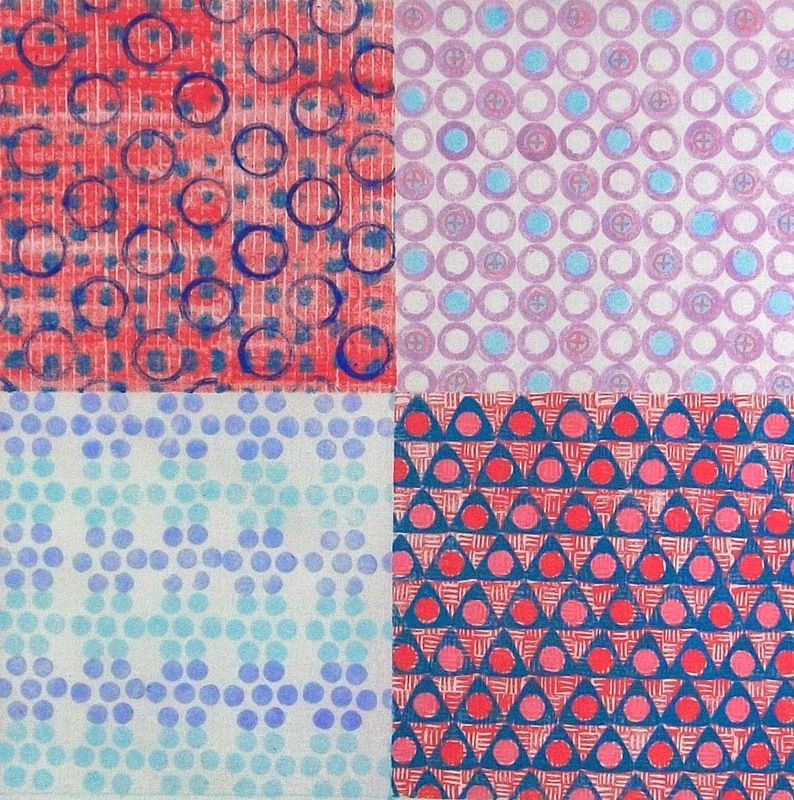 Detail of Small Scale Items: Nine Patch showing circle designs, from Chapter 2 of Fabric Printing at Home. Don't forget to stop by tomorrow for the first Guessing Game Challenge and Giveaway!